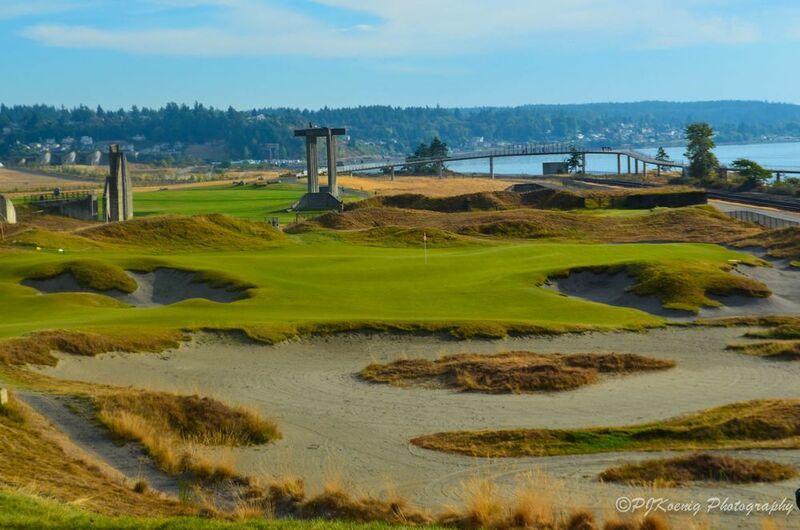 Chambers Bay Golf Club - Tacoma, WA — PJKoenig Golf Photography PJKoenig Golf Photography - Golf Photos For Those Who Love The Game. 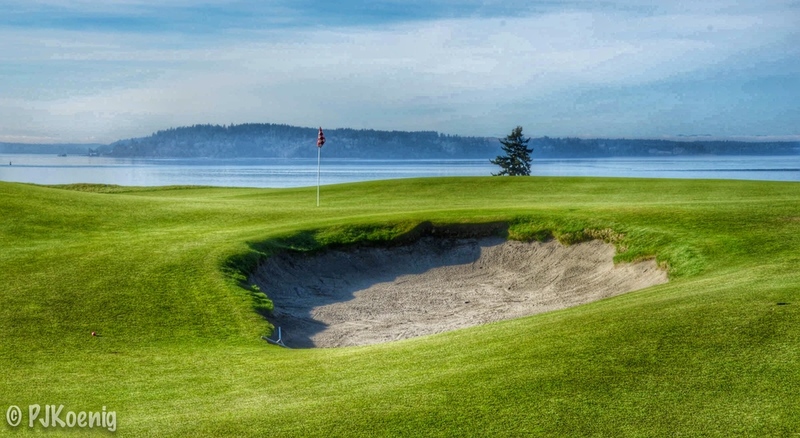 Although Chambers Bay made history as the 1st course in the Pacific Northwest to host a US Open in 2010, the land itself also has an extensive history. 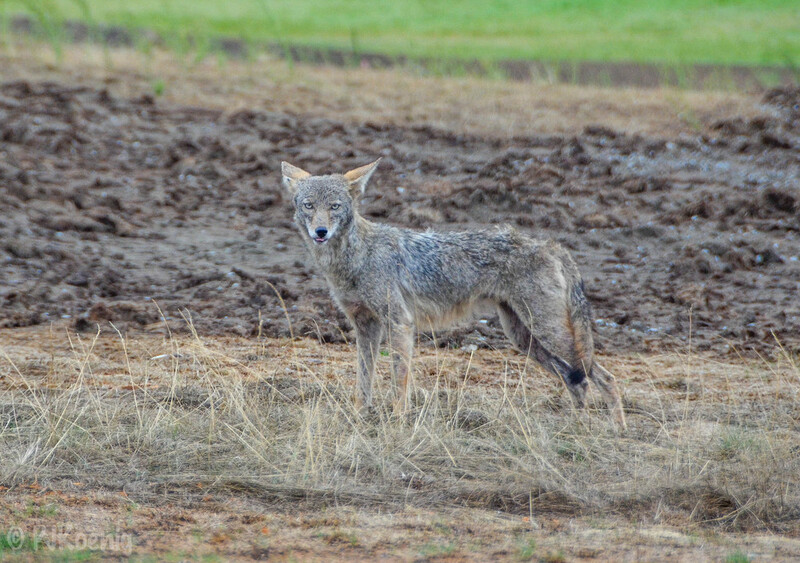 Since 1832, the course has been used as a paper mill, a sand and gravel mine, a bus barn, and even a sewage treatment facility. in 2007, Robert Trent Jones Jr was asked to use the land to create a world class golf facility capable of hosting a US Major championship. He delivered us Chamber's Bay. 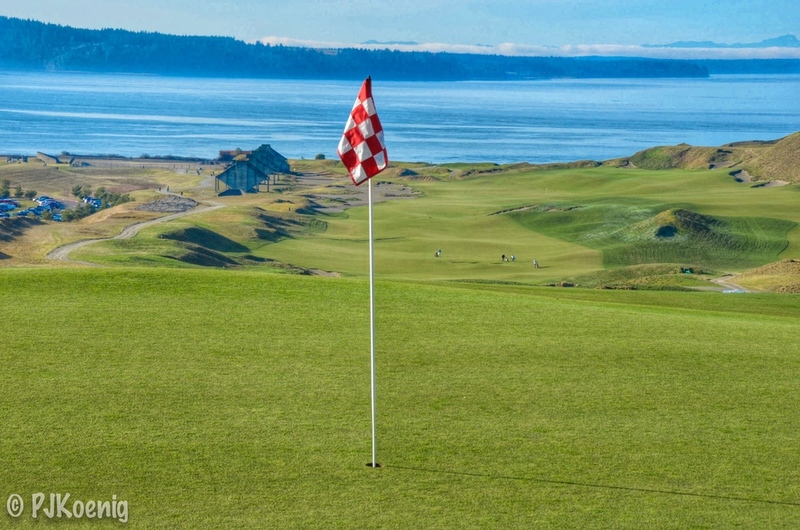 At Chamber's Bay, every hole has a view of the stunning Puget Sound and the holes wind through the dramatic sand dunes remaining from the land's previous use as a rock quarry. 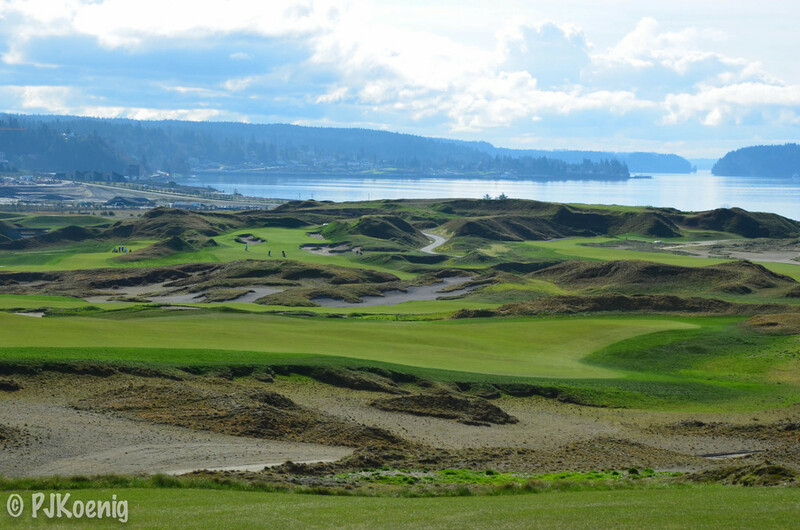 You can still see the sorting bins from the quarry to the right of the 18th tee and fairway. 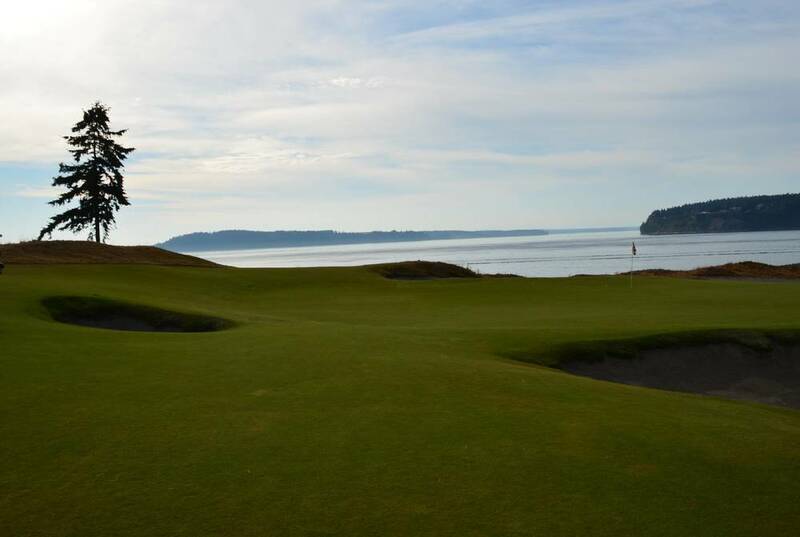 Robert Trent Jones Jr designed the course to be similar to the courses of the British Isles in several ways. 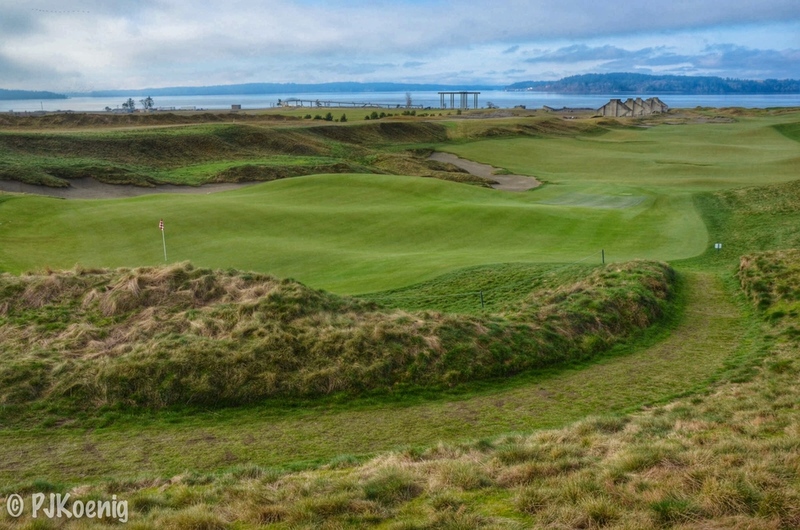 Perhaps my favorite links feature is that the course features no cart paths. 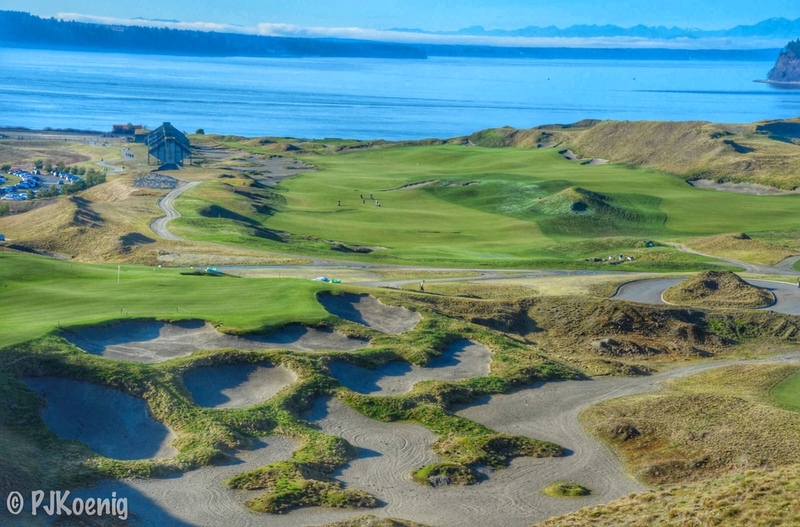 In typical links fashion, Chambers bay also features only fescue grasses and encourages creative shotmaking with it's sloped and incredibly fun to play green complexes. 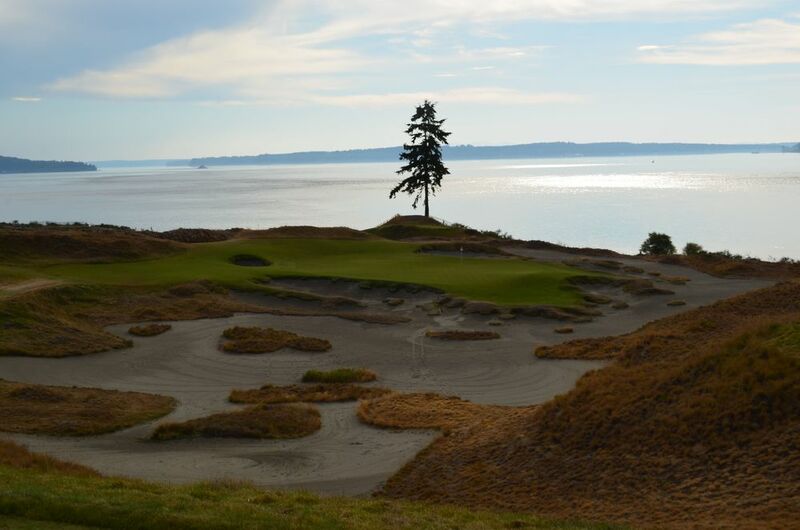 The 15th hole is as signature as any hole can be, offering up the only tree on the property. One of my favorite par 3's. 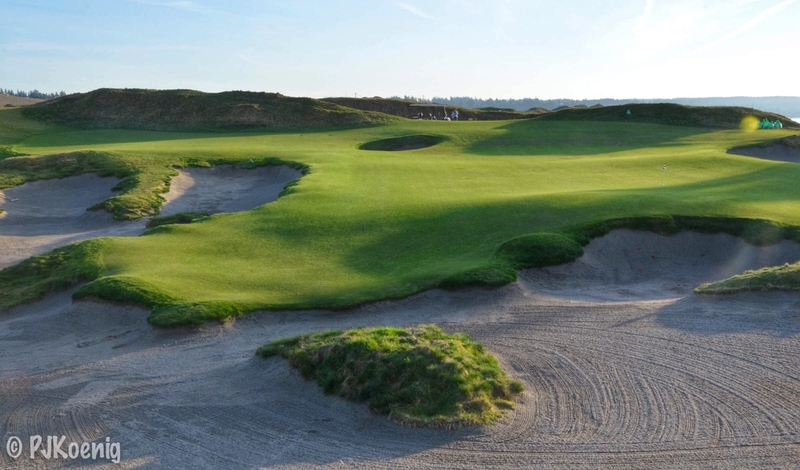 The 10th hole green is tucked between to massive sand dunes giving the hole a feel like nothing else on the course. The 5th hole "Freefall" offers a view of the entire course and provides a dramatic down hill tee shot. The 14th hole requires another a down hill tee shot giving the player strategic options surrounding a massive fairway bunker. 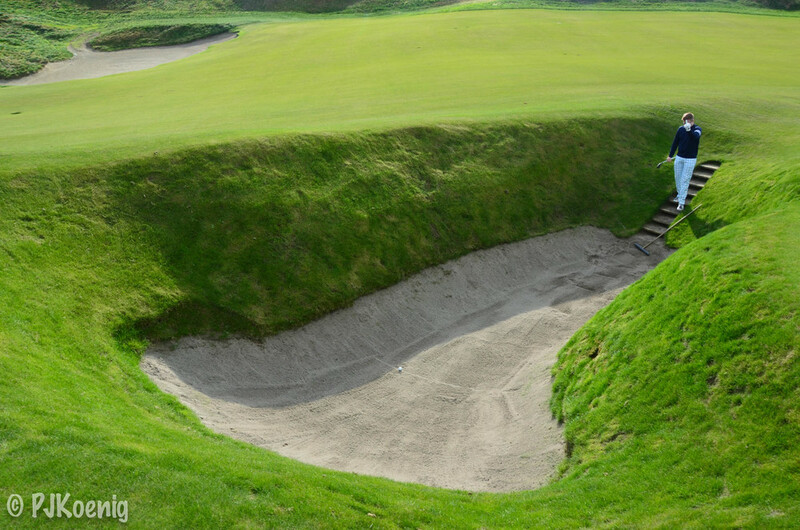 The 17th hole has also been the cover shot for pjkoenig.com since the site's inception. 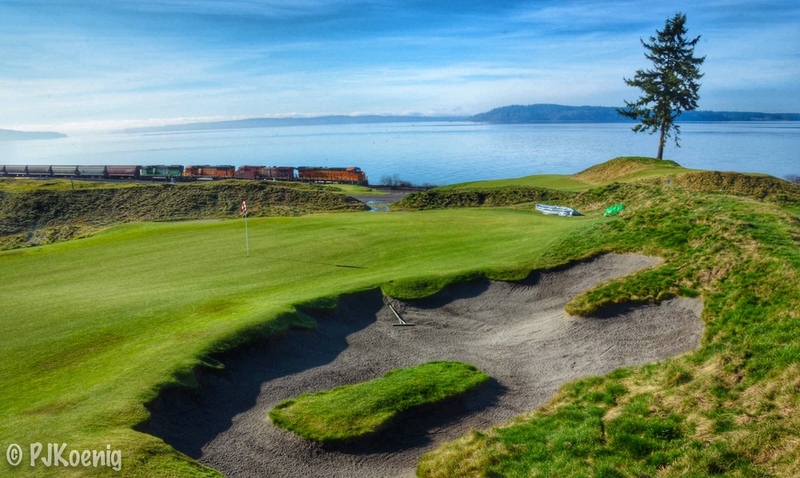 I don't care what the PGA Tour players complained about at the US Open, this course is a fantastic place to play golf.